Surprisingly, almost all the telecom players have outsourced the day-to-day management of their network to network management service companies, an industry dominated by two-three major players of which Ericsson India Private Limited (Ericsson), a subsidiary of Swedish based multinational telecommunications and networking company headquartered in Stockholm, is one. For any telecom company, the availability and efficiency of the network is very critical to their brand as well as revenues. Surprisingly, almost all the telecom players have outsourced the day-to-day management of their network to network management service companies, an industry dominated by two-three major players of which Ericsson India Private Limited (Ericsson), a subsidiary of Swedish based multinational telecommunications and networking company headquartered in Stockholm, is one. Ericsson had in the year 2013 entered into different agreements for rendering various technical services with three companies, including Reliance Infratel Limited (RITL), Reliance Telecom Limited (RTL) and Reliance Communications Limited (RCom). RCom is the holding company of RITL and RTL. The three entities -- RITL, RTL and RCom -- work in different segments i.e. towers, fixed line and broadband and wireless voice and data respectively. It would not be out of place to mention that Ericsson, which till recently was responsible for managing the backbone i.e. network of the three entities, is also the one to bring about the situation where it seems that no way out is present but to see the three entities been taken by a fourth entity (Resolution Applicant) unless a settlement is reached with Ericsson itself. The adjudicating authority, NCLT, Mumbai Bench has admitted the three separate applications filed by Ericsson as operational creditor on May 15, the seeds of which were sprouted by Ericsson on May 7, by serving a Demand Notice under Section 8 of I&B Code 2016. The total claim of Ericsson is approximately Rs 1,000 crore against the three entities. RCom had been fighting hard to put up a brave face in the industry mayhem brought about by the entry of Mukesh Ambani's Jio Infocomm. Initially it tried to merge with Aircel but the deal fell through owing to regulatory bottlenecks. Subsequently, it tried to work out a restructuring of its loans with bankers and also entered into a deal with elder brother's Jio Infocomm. However, in its fight for survival, RCom appears to have ignored, or underestimated, the heartburn being caused to Ericsson by ever mounting debt and failed payment promises. 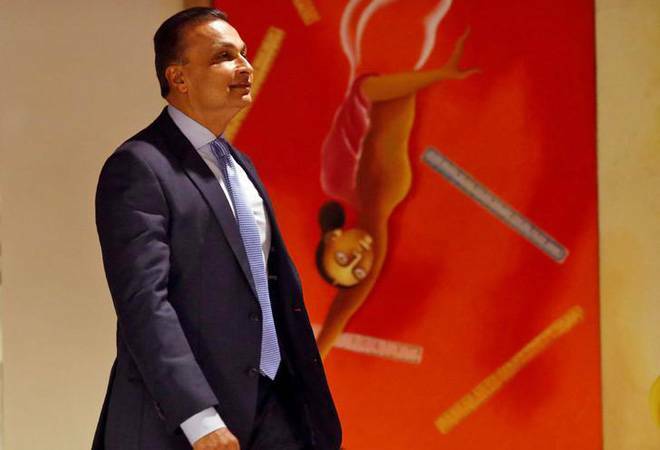 A perusal of NCLT Mumbai's order reveals that for over two years, RCom kept on assuring Ericsson about the payment of its dues and failing on every occasion to pay the same. Even in response to the demand notice issued under Section 8 of I&B Code 2016 as Operational Creditor by Ericsson, RCom asked Ericsson to bear with it for some more time. Perhaps, fed up with repeated promises which failed to see the light of the day, Ericsson decided to proceed to the Insolvency Court and in the process derailing all the other plans which were in the works. Here it is important to mention that financial creditors were also supporting RCom during the proceedings before the tribunal. Though the I&B Code is clear that the application will be admitted if it is proved that there is a default and there exists no dispute. Under the Insolvency and Bankruptcy Code and otherwise, the secured financial creditors have the first right over the assets of the debtor company and hence are the ones who call the shots. Operational Creditors like Ericsson are placed much down the list of priority. Ergo, all the effort of RCom was to ensure a settlement with the bankers and paying their dues while ignoring the interests of other stakeholder (this is what is being claimed) including Ericsson as it realised that the only way it can survive and the only way other creditors can even have a shot at reclaiming their debts was by avoiding insolvency. With the insolvency being admitted, the deals agreed or in the works come to a standstill and have to be now done in the framework of the Insolvency and Bankruptcy Code. While it is still the financial creditors who eventually comprise the Committee of Creditors (COC) and call the shots, any sale of assets, whose book value exceeds more than 10% of claims admitted by the Interim Resolution Professional, is not allowed. One can argue that suitors for the assets can now come in as Resolution Applicants, there is a catch. By virtue of the recent amendment, brought in to stop re-entry of promoters/ directors of defaulting entity or their relatives, the elder brother may not be allowed to bid for the assets of RCom owing to his relationship with the promoter of RCom i.e. younger brother Anil Ambani. A smart thing done by Ericsson was to terminate its agreement with RCom before moving the Insolvency court. Smart because by doing that it avoided itself from digging its own grave as upon admission of insolvency it would not have been able to terminate its service, they being 'essential' to the running of RCOM. As observed by NCLT in its order "will anybody become so insane not to terminate services before filing this case". This statement was made by the tribunal while addressing the argument given by the counsel of RCom: there exists a dispute between Ericsson and RCom as Ericsson has terminated its services. It would be important to that the termination notice was given by Ericsson after serving the notice under Section 8. It would be interesting to see how this all pans out over the next six-nine months since RCom has already approached NCLAT against the order of the tribuna. Also the committee on Insolvency Code has submitted its recommendation which inter alia include diluting the provisions relating to section 29A i.e. the one which prohibits the promoters/ directors (and their relatives) of the company facing insolvency from reclaiming the company. Insolvency is a new law and the hence not only the jurisprudence is still evolving, even the practicality of provisions is still being tested and hence it would not be surprising that another amendment is made during the monsoon session which may move the goal posts from their current position.